The Hollywood Reporter ranks DePaul University 13th on its list of the Top 25 American Film Schools of 2018, in an issue released this week. The publication notes that DePaul’s School of Cinematic Arts gives students real-world opportunities to work on Chicago’s television and film sets, with many landing jobs working on television and film productions before they graduate. DePaul’s 35,000-square-foot facilities at Cinespace Chicago Film Studios on the city’s west side include three professional soundstages, green screen cycloramas, a 3-ton grip truck and high-end editing suites and mixing studios. The publication also notes an innovative alliance with comedy icon The Second City to offer degrees in comedy filmmaking. 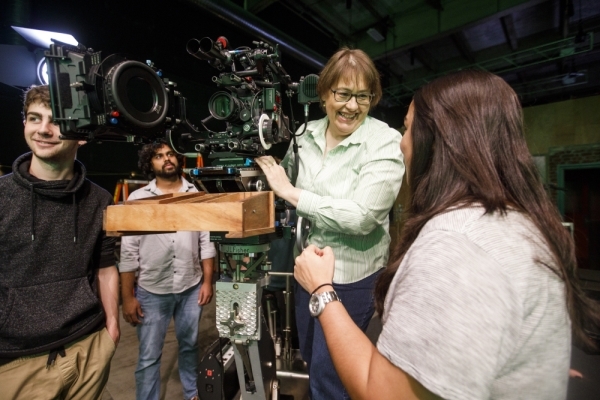 Faculty in the School of Cinematic Arts are working professionals, including directors, screenwriters and cinematographers. Another feature of the program is the L.A. Quarter, when students take classes on a historic studio lot in Los Angeles and intern at high-profile companies. For more information, visit http://cdm.depaul.edu/film.